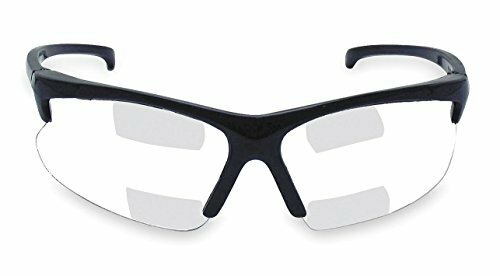 Top Focal 1.25 Assorted kits have amber, clear & smoked anti-fog lenses with the magnifying portion at the top of the safety glass. 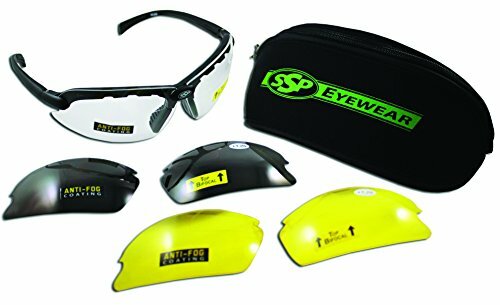 The kit includes a neoprene zipper pouch with 3 sets of permanent anti-fog lenses, (amber, clear, & smoked) and lens changing instructions. Users include marksman mechanics, electricians and anyone doing overhead work. Great contemporary design, stylish glossy metallic brown frames in our stylish Sonoma frame style. 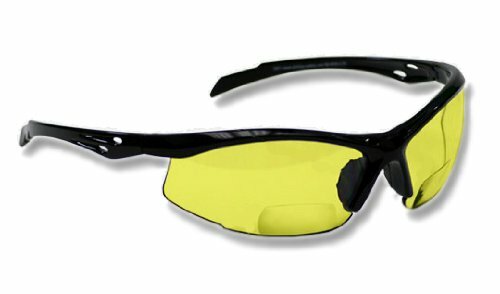 All Models with Anti-fog lenses. Easy to wear soft rubber nose bridge and temple tips make for great comfort. 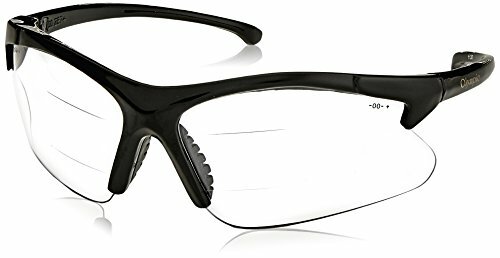 Available in a non-bifocal option, a Plano safety glass. See product number SG-350 (Sonoma). 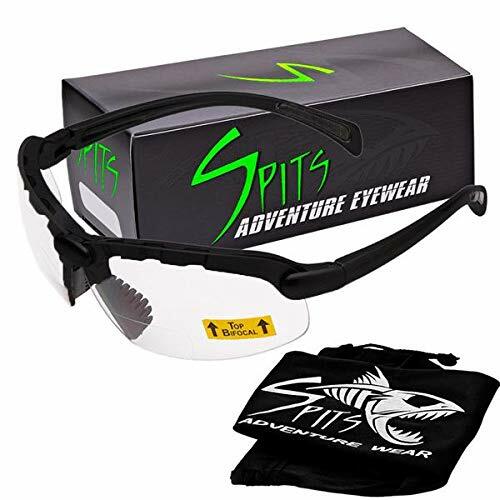 Available in 5 diopter strengths: +1.0, +1.5, +2.0, +2.5, +3.0 Lens available in clear anti-fog, and brown anti-fog. 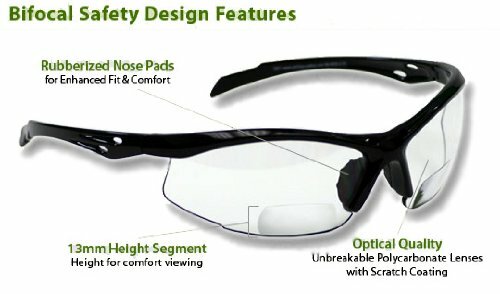 Polycarbonate lenses absorbs 99.99% of harmful UV A, B and C, 180-380nm. 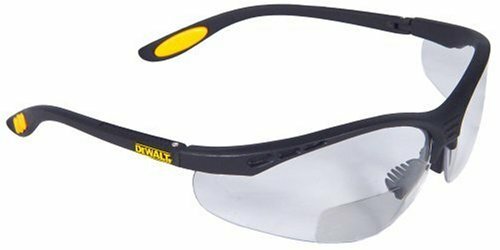 Bifocal safety glasses are an incredibly useful tool in any garage. 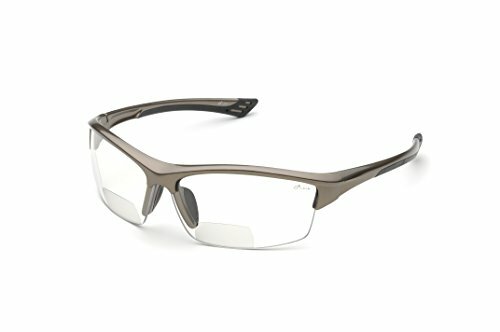 The SB-9000 has a contemporary design while the wraparound lenses offer a close fit and comfortable protection. The rubber nose bridge and soft rubber tipped temples make this style extremely versatile. Brand: Phillips Safety Products, Inc.